Yahoo News has fired its Washington bureau chief David Chalian for saying White House hopeful Mitt Romney was “happy to have a party with black people drowning”. Caught on an open microphone, David Chalian was discussing Hurricane Isaac, which hit Louisiana with the Republican convention under way. Yahoo said the remark did not represent the company’s views and that it had apologized to the Romney campaign. David Chalian said on Wednesday he was “profoundly sorry”. 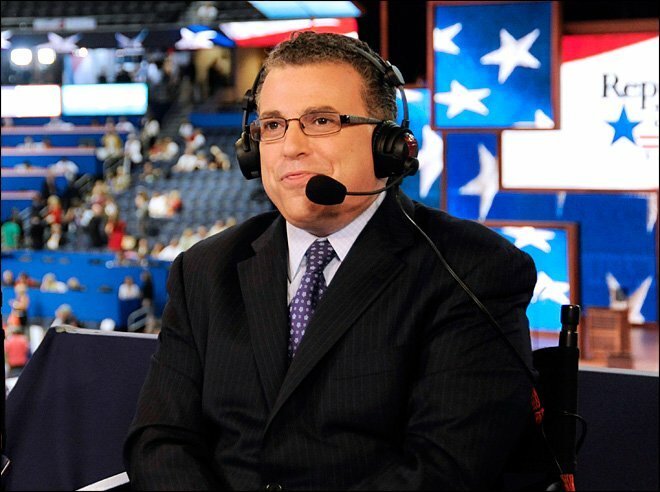 Yahoo News has fired its Washington bureau chief David Chalian for saying White House hopeful Mitt Romney was "happy to have a party with black people drowning"
His gaffe came on Tuesday evening, as Yahoo News was preparing to begin its live coverage of the Republican National Convention in Tampa, Florida, in association with ABC News. In a video posted on YouTube, the commentators can be heard discussing how Isaac, which has since been downgraded to a tropical storm, was bearing down on the US Gulf Coast. He later apologized on his Facebook page for “making an inappropriate and thoughtless joke”. “I was commenting on the challenge of staging a convention during a hurricane and about campaign optics,” he said. A Yahoo spokeswoman told the Associated Press: “He has been terminated effective immediately. Mitt Romney was officially selected as the Republican presidential nominee on Tuesday, the first full day of the convention, which started a day late amid concerns over Isaac.